Why New Jersey Homes Need Storm Doors! Homeowners typically buy a storm door to protect their front door from weather damage and to make their homes more energy efficient. 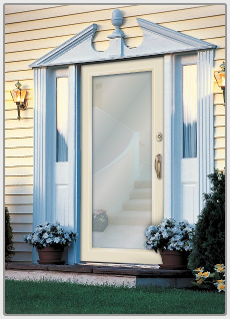 But storm doors can also provide extra security and boost your home’s appeal. If you are in the market for a storm door, know that aluminum is the preferred material, Bonded Weathermaster chooses aluminum as the frame for storm doors because it’s stronger, more weather-resistant and easier to install. While you might buy an aluminum door with a wood core, aluminum is the better investment. Aluminum frames are more rigid. Wood has some flex to it. Aluminum door frames can come in various degrees of thickness. The thicker the guage of the aluminum door, the studier it is. 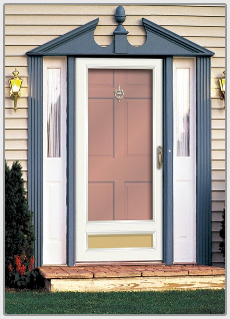 A Bonded Weathermaster Clearview or Fullview storm door is dominated by glass and encased in an aluminum frame. These styles provide more light and ventilation with a better view of the outdoors without opening the door. 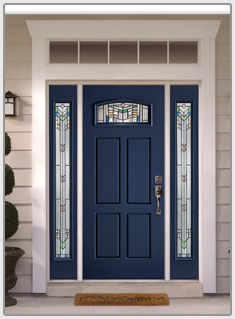 It allows you to protect your elaborate entry door, while also showing off its features. A Partial view storm door is typically split 50/50 with a bottom kickpanel of various designs and the top area containing interchangeable glass and screen panels. The view you choose for your storm door affects your ventilation options. For example, you may need to remove the panel and insert a screen for fresh air when it’s closed. Bonded Weathermaster also makes full-view storm doors with glass panels that slide up and down to expose the built in screen. Within a matter of seconds, you can lift the glass panel up and the screen will be exposed. The biggest drawback to self storing doors is that the framework that holds the glass and screen panels interrupts the seamless glass look. Bonded offers two product lines of storm doors, each with features that differentiate them from each other. Advantage and Nordic doors are distinctly different from each other. 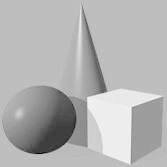 Choose the model that best suits your needs and budget. All are available in standard or custom sizes at no additional charge. 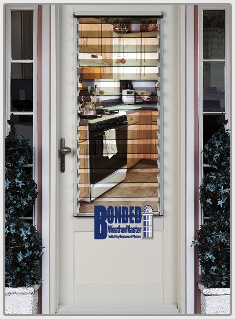 Bonded makes the door to fit your home: you don’t have to make your home fit a “standard” door size!